Image of Carl Warner’s Desert of Sleeping Men acquired from carlwarner.com. Image of LaToya Ruby Frazier’s Landscape of the Body (Epilepsy Test) acquired from the latoyarubyfrazier.com. All other images acquired from the Five College Museums Database. Steffani Jemison’s “The Escaped Lunatic” video can be accessed from the artist’s collection available on Vimeo. See more of her works on her website. Adams, Steven, and Anna Gruetzner Robins. Gendering Landscape Art. Manchester: Manchester University Press, 2000. Andrews, Malcolm. Landscape and Western Art. Oxford: Oxford University Press, 2000. Banks, Patricia A., John R. Stomberg, and Elizabeth Young. Kara Walker: Harper’s Pictorial History of the Civil War (Annotated). South Hadley: Mount Holyoke College Art Museum, 2013. Published in conjunction with the exhibition held at the Mount Holyoke College Art Museum. Burtynsky, Edward. “Interview with Edward Burtynsky,” Perspecta 41, MIT Press: 2008. pp. 153-173. Frazier, LaToya Ruby. The Notion of Family. New York: Aperture Foundation, 2014. 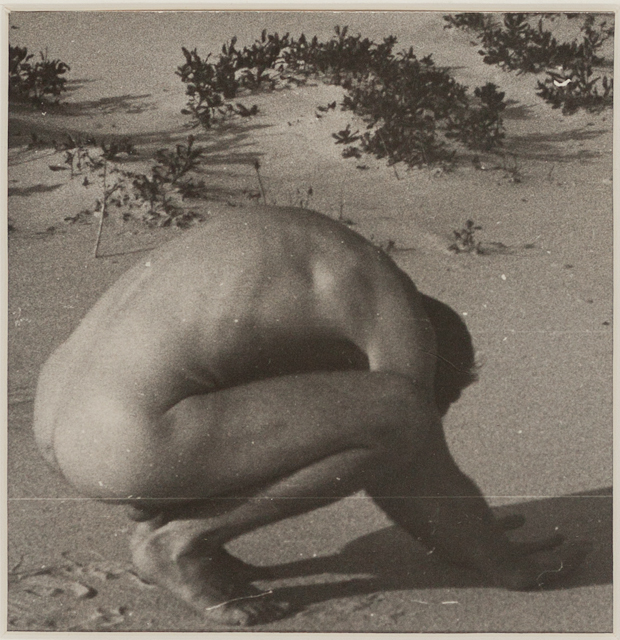 “Josef Breitenbach.” Gitterman Gallery. Accessed July 1, 2015. http://gittermangallery.com/artist/Josef_Breitenbach/biography/. Hooke, Roger LeB. “On the History of Humans as Geomorphic Agents,” Geology 28 No. 9, September 2000. pp. 843-846. Langdon, Helen. “Landscape painting.” Grove Art Online. Oxford Art Online. Oxford University Press. Accessed July 5, 2015, http://www.oxfordartonline.com.proxy2.hampshire.edu/subscriber/article/grove/art/T049026. Mitchell, W.J.T. Landscape and Power. Chicago: University of Chicago Press, 1994. Raine, Anne. “Embodied Geographies: subjectivity and materiality in the work of Ana Mendieta,” Generations and Geographies in the Visual Arts: Feminist Readings. Ed. Griselda Pollock. London: Routledge, 1996. pp. 228-249. Rancière, Jacques. “The Art of the Possible: Fulvia Carnevale and John Kelsey in Conversation with Jacques Rancière,” Artforum. Trans. Jeanine Herman, 2007. Rose, Gillian. Feminism & Geography: The Limits of Geographical Knowledge. Minneapolis: University of Minnesota Press, 1993. Solnit, Rebecca. As Eve Said to the Serpent: On Landscape, Gender, and Art. Athens: University of Georgia Press, 2001. Storm, Anna. Post-Industrial Landscape Scars. London: Palgrave Macmillan, 2014. “We New Yorkers, 1942.” The Jewish Museum. Accessed July 1, 2015. http://thejewishmuseum.org/collection/31313-we-new-yorkers. Wells, Liz. Land Matters: Landscape Photography, Culture and Identity. London: I.B. Tauris, 2011. Wolfthal, Diane. “Jacques Callot’s Miseries of War,” The Art Bulletin 59, No. 2, 1977. pp. 222-233. “LaToya Ruby Frazier: WITNESS.” Contemporary Arts Museum Houston, 2013. Accessed July 7, 2015, http://camh.org/exhibitions/latoya-ruby-frazier-witness.